Look up Koraly Dimitriadis’ name – say, in a standard google search – and you’re more than likely to see a variation of the word ‘angry’, or ‘anger’ associated with the poet. When I bring this up to her, she laughs. “I think I was a lot angrier back in the day, when I was still trying to find my voice than what I am today,” she admits. 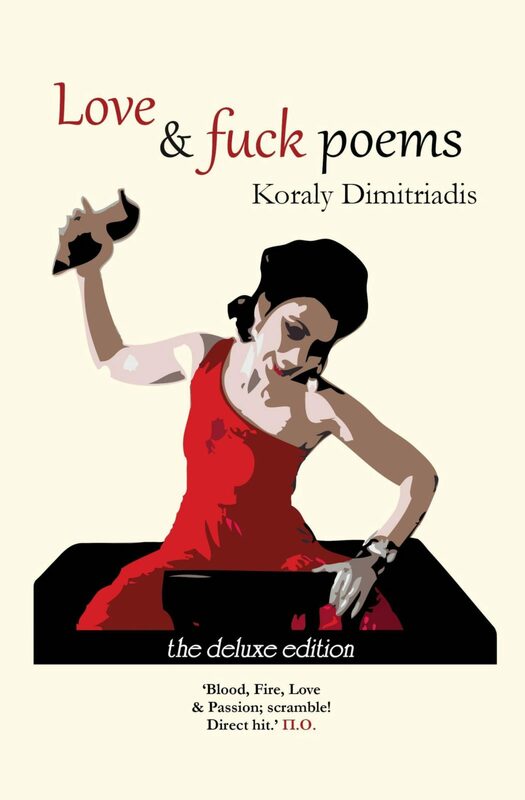 Having said that, Koraly admits that her poetry has changed, since she emerged with Love and F–k Poems, her first book, in which she addressed the oppressive role of patriarchy – and particularly that still prevalent in Greek and Cypriot communities where she grew up. “My poetry is becoming more reflective,” she says, explaining that this may have been part of growing up and gaining maturity. “I’ve had more experience and I’ve had to reconcile with a lot of things within myself,” she says. This kind of reconciliation is not only part of her journey as a human being, but it naturally finds its way into her words, as she sets them out on the page. “I’m a poet who wants to learn from people and grow,” she says. “Yes, my poetry is angry, but I always try to understand other people’s point of view as well. I do the best I can anyway,” she adds, laughing. All this change unfolds within the pages of her latest book, Just Give Me The Pills, which is being launched next week at The Greek Centre. As in Love and F–k Poems, in this book there are also common threads that make the poems featured – which are also of various formats and traditions – creating an overarching narrative. “I see it as a story that takes place before and after Love and F–k Poems, it happens in the middle. It is about a girl who got married very young, for a lot of the wrong reasons – because there is still a lot of pressure on women to get married and have children – and about her journey in finding her voice,” she says. The book’s ‘protagonist’ is facing the oppression that comes from patriarchy, from the conservative migrant culture that surrounds her, but also the conservative mainstream culture, for instance when she addresses the issue of breastfeeding against the ‘bottle mums’. These are themes that many women can relate to – and that come from Koraly’s personal experience. “[Just] Give Me The Pills is loosely based on my own experience, using writing as a form of liberation,” she admits. More importantly, it is something that anyone can do, she adds. For her, it has been a definitely liberating process, that has allowed her to heal her wounds and come to terms with the challenges of her migrant background. “I was brought up in an environment where Cyprus was always considered to be home,” she describes her complicated relationship to her roots. “I didn’t really embrace that feeling, that I love Cyprus, until I was 17 and my parents took me on this trip and they just let me do whatever I wanted,” she remembers. In fact, Koraly was there recently, touring the island to launch her new book, with a fund from the Cypriot Ministry of Education. “It was really good,” she says. That is more than she can say about the Australian arts and letters scene. “It is a very complex and hard place,” she says. “It is very hard to get acceptance in the wider Australian arts scene, there are a lot of stereotypes, and there is still a resistance for something different, especially when it comes to women from migrant cultures. There is a big push for diversity but Greek, Italian and Spanish women are left behind because we are kind of not seen as ‘diverse’ enough,” she points out, stressing that most of the artistic output coming from the Greek community had to do with work created by men. “There is a big problem here,” she says. Of course, Koraly is not one to shy away from a challenge. It has always been like that for her, from the start. When I ask her why she chose poetry as a means of expression she said that she did not. That all changed when she went to RMIT and studied creative writing with the acclaimed poet and artist Ania Walwicz. “She was the one who told me that there are no rules,” Koraly remembers. This approach is evident in Just give me the pills, which sees her playing with a lot of poetry formats. “It just happens, it’s not something that I planned to do,” she says, describing that the book contains poetry written over the span of 10 years. Her voice has changed within that period, but her main theme remains the same: the role of women in a male-dominated society and within a migrant culture. At the moment, Koraly is getting ready for the Australian launch of Just Give Me The Pills on Sunday 2 December at an event featuring poets Amanda Anastasi, Angela Costi, Kylie Supski, Misbah Khokhar, Tariro Mavondo but also the veteran guitarist-vocalist Pascal Latra supported by Jacob Papadopoulos on the bouzouki. “I’ve invited musicians and poets of migrant background to kind of interpret the metaphor of the book,” she says. “Having it at the Greek community is important to me, because they have supported my work, despite being controversial and tricky, so I want to celebrate this work with the Greek community,” she explains. Activism aside, there is a deeper reason that she wanted to host the event at The Greek Centre. “I’m Greek Cypriot. That’s who I am,” she says. 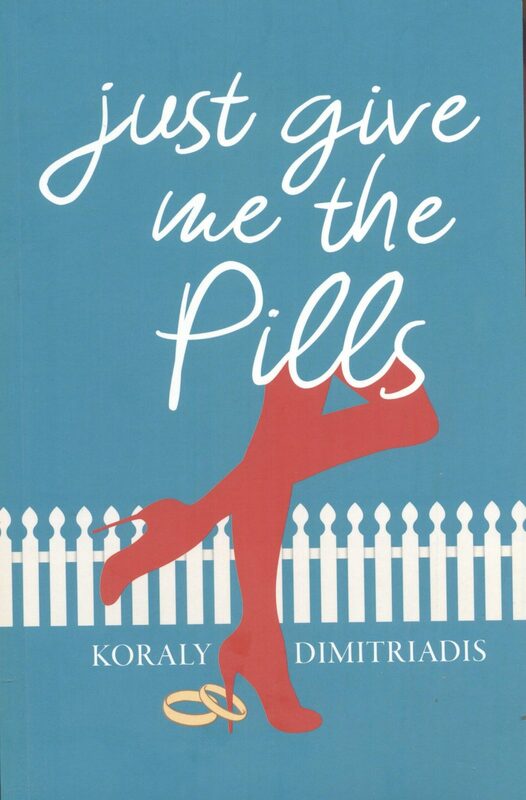 * Koraly Dimitriadis’ book ‘Just Give Me The Pills’ is hitting bookshops nationally on Saturday 1 December and will be launched on Sunday 2 December at The Greek Centre (168 Lonsdale St, Melbourne, VIC). Doors open at 6.30 pm. For catering purposes please RSVP to info@outsidetheboxpress.com or respond to the Facebook event (https://www.facebook.com/events/311739472972400/).